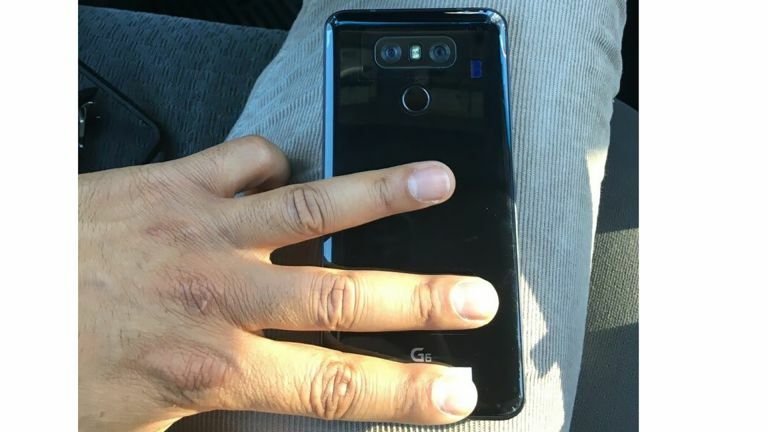 Ahead of the official launch of the LG G6 later this month another photo has leaked of the handset. This latest snap clearly shows off a rear dual camera and more. Business Insider has apparently managed to get hold of the handset to show off the above photo showing it from the rear. This handset is referred to as the “near-finished” version so perhaps isn’t exactly the finish we can expect but very likely things like that dual-camera will make an appearance. Also revealed in the photo is a rear placed fingerprint sensor. The finish is shiny and black, compared by the source to the Jet Black finish of the iPhone 7. Also expected on the LG G6 is USB-C, a unibody design and a 5.7-inch screen with 18:9 aspect ratio, says the source. From previous leaks we also expect the phone to come with a very minimal bezel on the front for a 90 percent screen design. LG is expected to reveal its new flagship G6 smartphone at a press conference on 26 February, the day before the Mobile World Congress trade show kicks-off. Check out the previous leak showing off the front of the LG G6 at the link below.